Heads up, there’s an updated blog. Check it out here. 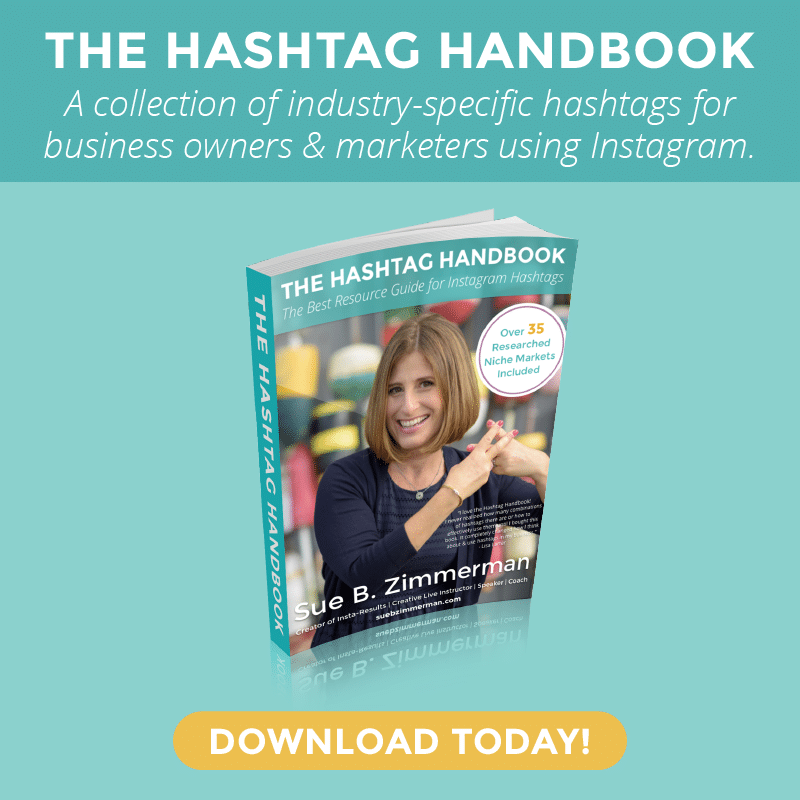 As more people flock to the visual-first experience of Instagram, it’s important to stand out. 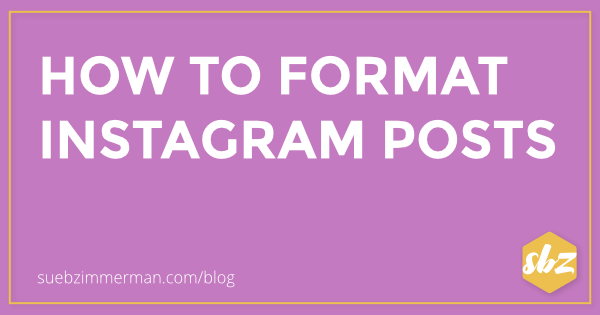 One way to do that is to format your Instagram post descriptions like an expert. A well-formatted Instagram post – with design elements like spaces and lists – is easier to read than walls of plain text. 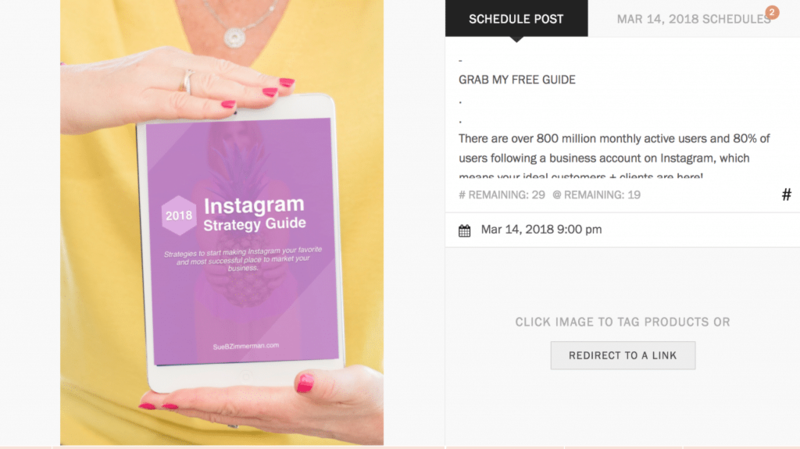 Whether you prefer to draft your Instagram descriptions on your phone or desktop, these tips are sure to get your followers’ attention and keep you top of mind. It’s easier to write and edit your Instagram posts using the Notes app than the Instagram app. Notes allows you to see what you’re drafting more clearly. And you can add all of the lines, emojis, and spaces you need. 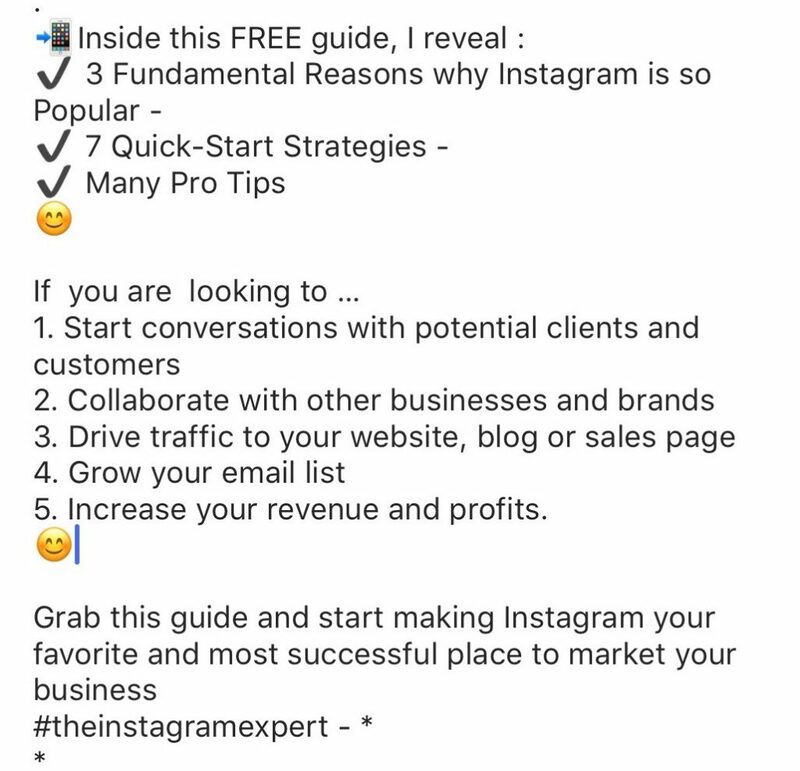 My goal, on my Instagram Expert account, is to share the latest tactics and business knowledge my followers need to succeed on Instagram. And I know that the easier my posts are to read, the more people will read them and take action. That’s why I usually format my descriptions as lists, most often with black check emojis. 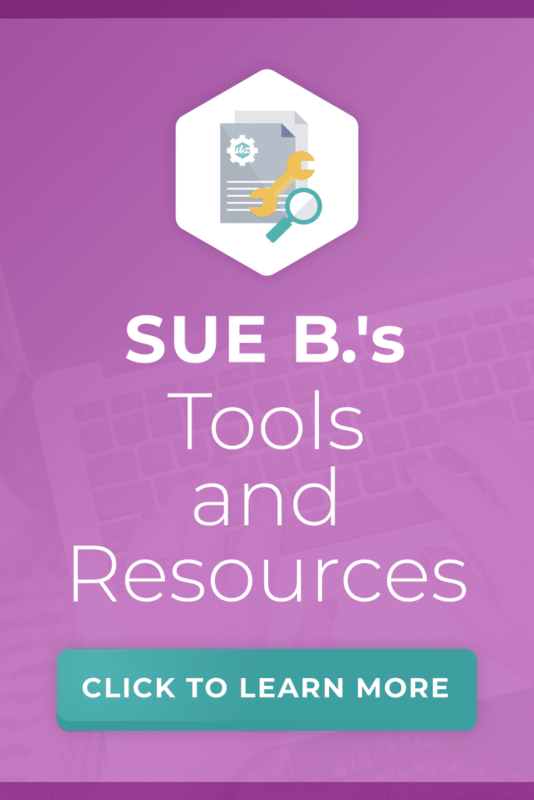 This makes my descriptions scannable – easy for people to skim the page and absorb information quickly. I love that my followers can easily understand what they’re reading, and my descriptions don’t look like a novel. Paragraph spacing is key to formatting your posts. Rule #1: Don’t Write Your Caption Copy in Instagram. As I mentioned, using the Notes app is better than writing directly in the Instagram app. If you use the Instagram app, after you write your copy and press “done,” the copy will just revert back to zero-spaced formatting. That’s one reason I recommend the Notes app. Ninja Tip: If for some reason your spacing does not work when you use the black emoji check mark, put a dash at the end of your line (see above). That way it’ll carry over to the beginning of the next line. This is the easiest and fastest way to add a line break in your caption. I use this technique all the time by using dashes and dots. But you can use any symbol. Rule #3: Don’t Include Emojis Before or After Breakpoints. If you want to include emojis in your Instagram post’s caption, do so within your sentences – not before or after them. Another thing you can try is adding emojis in between your paragraph spacing. Write your caption copy in your Notes app (I also use Planoly). Add your paragraph spacing by hitting your “return” button a couple of times. Add your emojis in the spaces between your new paragraphs (AFTER the caption copy looks good). Let’s be honest, trying to type Instagram descriptions on the go isn’t always easy. That’s one reason why I use Instagram on my desktop when possible. My team and I also use planning tools, like Planoly, to plan our Instagram descriptions. I never have to guess what my Instagram descriptions will look like. I can also save all of my hashtags and formatting styles, so I create a consistent look and feel for my Instagram feed. As a bonus, Planoly’s analytics tools can help your team to better understand which captions are driving the most engagement. If it looks like people are just scrolling past your descriptions, use this data to better inform your strategy for the future. Looking for more Planoly tips and tricks? Check out this YouTube video to learn how you can use Planoly to schedule your Instagram content. Don’t just press post and forget it – you should always post with a purpose. Every post you share is your opportunity to engage, drive traffic or grab the attention of a potential follower. 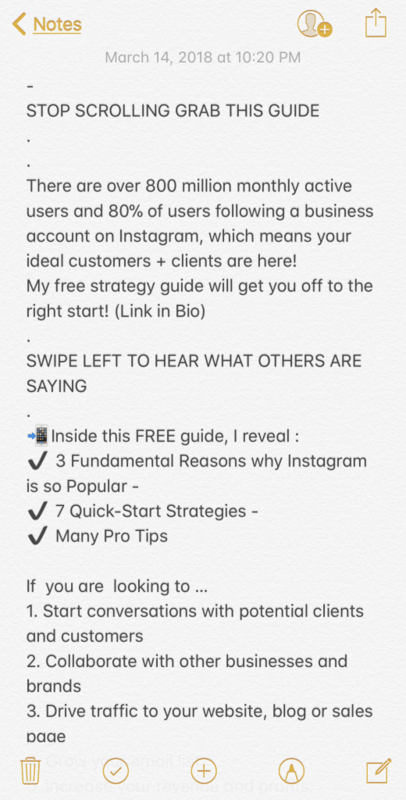 Formatting your Instagram description provides the additional value your account needs to stand out. Between planning my posts, focusing on the copy and adding a call-to-action/conversation starter, it takes me about 20 minutes to upload my Instagram posts. While this might seem like a lot of time to some people, I know this is what I need to ensure I am creating the most positive, value-focused experience for my followers. If you want to stay top of mind for your users, you need to give them a reason to stop in their scroll and read. Tell people exactly what they can expect to learn by putting the title at the top of the description in all caps. Hit return and write the rest of your post. Not only will your title stand out, but your followers will immediately know what they’re going to learn. Ever wondered how other Instagram accounts are able to create perfectly spaced Instagram captions? Or does your Instagram caption formatting need a refresh? 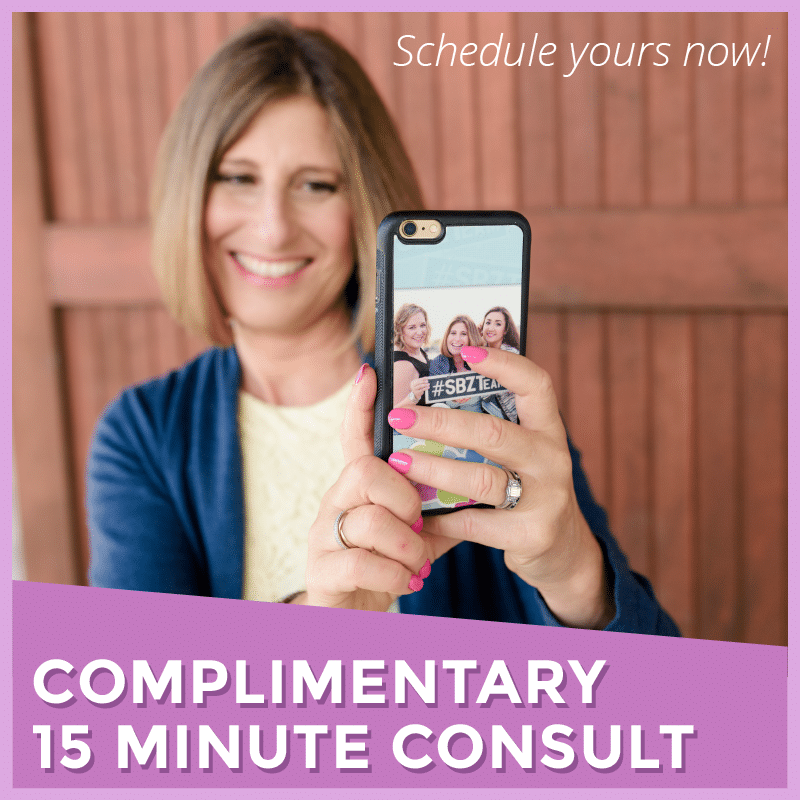 Grab my FREE copy + paste download now to discover four creative format options that will stop your followers in their scroll.